As daring as it is dazzling, the magnificent Liossima from Christian Louboutin is structured on the beloved Pigalle Follies silhouette. 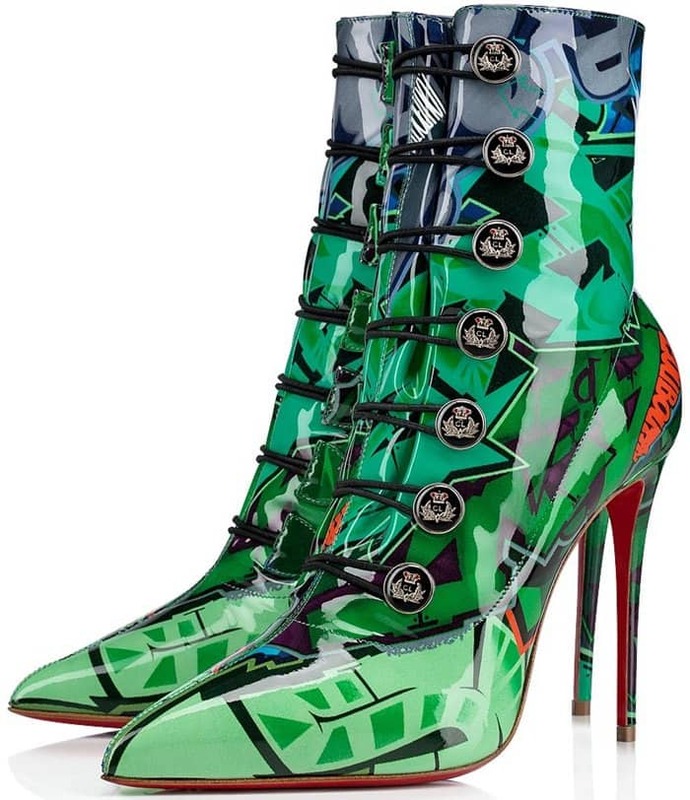 Which color do you want and how would you style these statement boots? 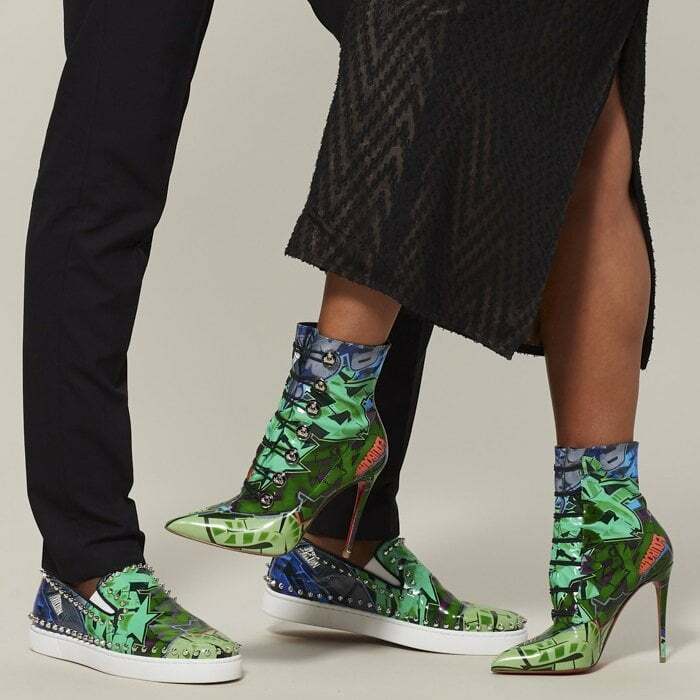 Retro-chic and urban-cool are two ways to describe the printed ankle boots made from green-taiga calligraphy-printed leather. Featuring Victorian-esque loop-button closure all the way up to the ankles, the 100mm vertiginous heel ups the ante even further. 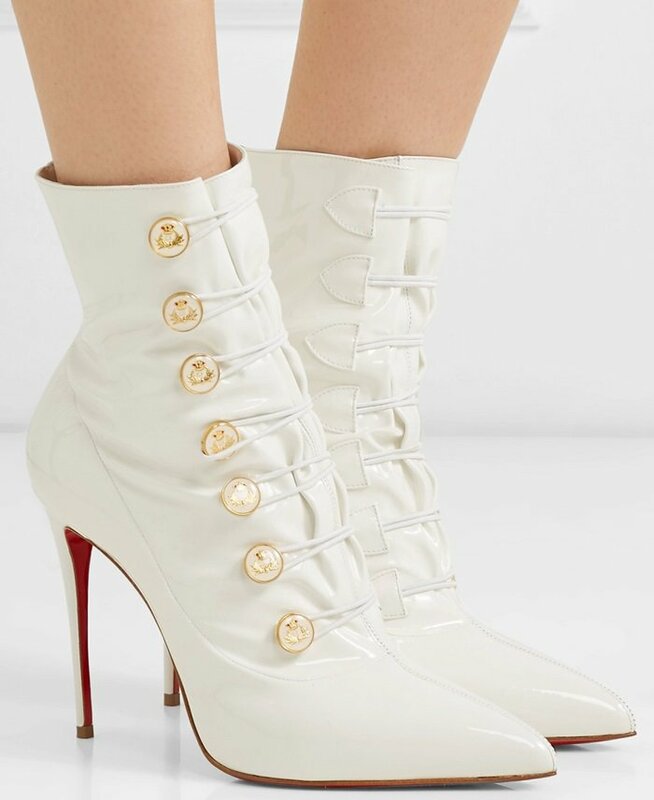 Tried and true to its sister style, the snow-colored ankle boot is endowed with a pointy toe and audaciously slimmed-down stiletto heel reaching heights of 100mm. The military-inspired frogging can be undone to make pulling them on a little easier. 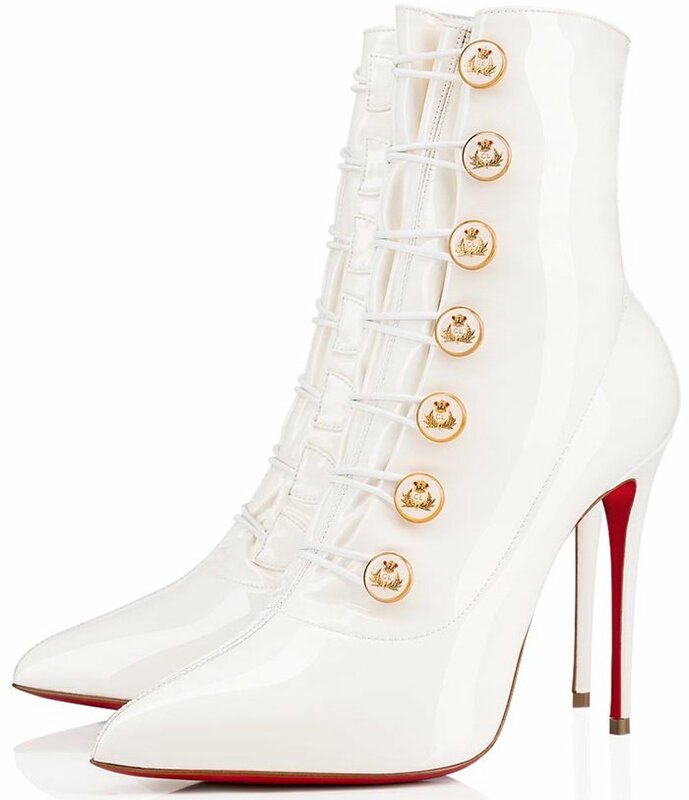 Crafted in soft patent leather, the monochrome color provides the ideal canvas to showcase the row of engraved white and gold crested buttons that run up the throat and serve to fasten the pair.